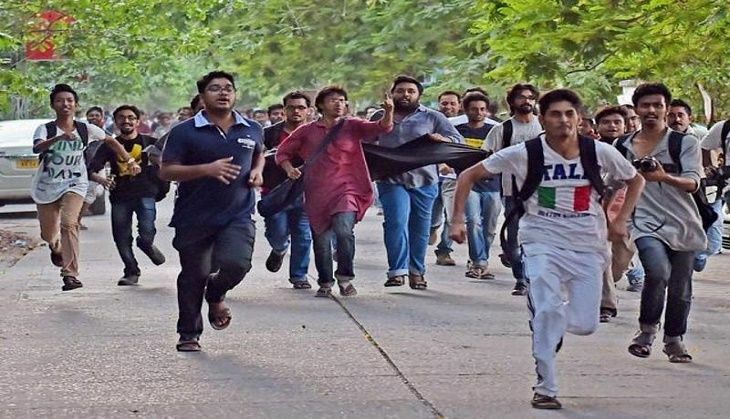 Following the clashes in Jadavpur University, Bhartiya Janata Party (BJP) in West Bengal today, termed the varsity as a "hub of anti-national elements" and accused the opposition CPI(M) and the Vice-Chancellor of supporting them. "Student unrest has become a common phenomenon in JU. The screening of a film, cleared by the Censor Board, was stopped illegally. The trend of CPI(M) and Left-backed student unions of JU has been to stop anything that is against their ideology, which is totally against the country's democratic set up. We condemn it," state BJP chief Dilip Ghosh said. "Jadavpur University is a hub of anti-nationals. Left- backed students unions are breeding ground for anti-nationals and that is why we have seen anti-India slogans being raised by a section of JU students," he alleged. Accusing the varsity's VC of supporting anti-nationals elements on the campus, Ghosh demanded that his role be probed. "We will inform the Center of the activities going on inside the JU campus," he said. West Bengal Governor KN Tripathi today said the varsity is fast turning into a "centre for disturbance" and authorities should take stern action against it. "Jadavpur University which was once known as centre for excellence is fast turning into centre for disturbances. The authorities should take stern action against it," said Tripathi, who is also the chancellor of the university. The clashes broke out yesterday just hours after a screening of director Vivek Agnihotri's "Buddha in A Traffic Jam" at the university was interrupted several times. After the screening, a few women students complained of molestation by some "outsiders". After the complaint, a group of students apprehended four men and handed them over to the VC. BJP leader Roopa Ganguly, who reached the spot after the clashes was stopped and wasn't allowed to enter the campus. An FIR has been filed against the four alleged molesters by the university registrar, according to reports. The student protesters say they oppose the film's portrayal of nationalism. There have been similar protests against the film at Delhi's Jawaharlal Nehru University, amid a raging debate over nationalism. The film, a political satire, releases on 13 May and stars, among others, actor Anupam Kher.